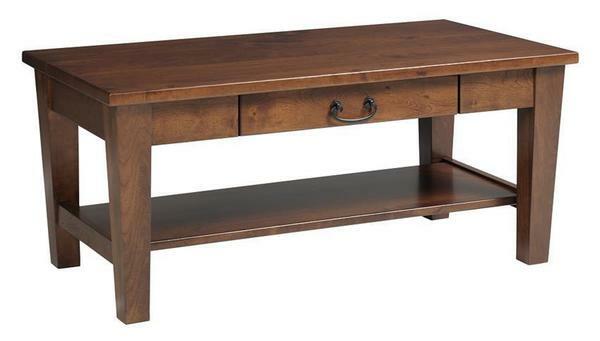 Invite a love and true appreciation of quality into your living space with our Amish Urban Shaker Coffee Table. This exceptional piece features clean, tapered lines and reflects the timeless Shaker style with an updated spin. Because of this excellent balance, you'll be able to pair your new coffee table with a variety of furniture pieces. You will marvel at the beauty of this piece from the second it is delivered to your door, to years down the line when its integrity remains fully intact. Our expert Amish woodworkers are dedicated to creating American made furniture to last a lifetime. Count on their skill and invest in an heirloom-quality coffee table. Should you have any questions regarding this piece or any of our gorgeous Berlin Office Collection furniture, please do not hesitate to give us a call at 866-272-6773.